And you thought Crocs were ugly. 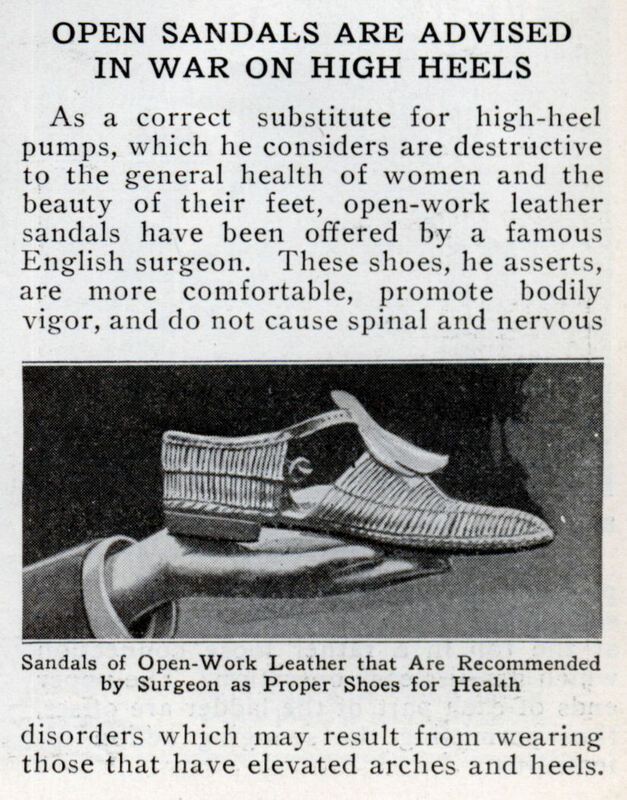 As a correct substitute for high-heel pumps, which he considers are destructive to the general health of women and the beauty of their feet, open-work leather sandals have been offered by a famous English surgeon. 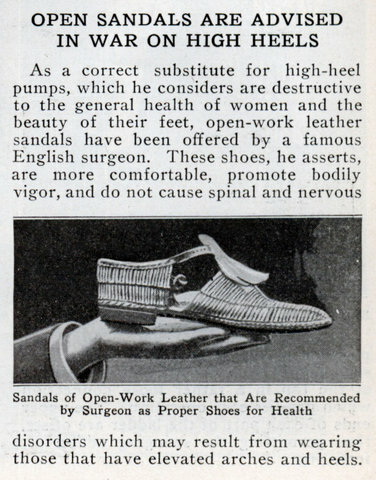 These shoes, he asserts, are more comfortable, promote bodily vigor, and do not cause spinal and nervous disorders which may result from wearing those that have elevated arches and heels. Ah, the never ending battle against high heels, will it never end? Well, if it’s the never ending battle, I’d say, no, it won’t.